MEDIA RELEASE: "Hawke’s Bay Airport had a record December with passenger numbers increasing 14% compared with December 2014. “This year we’ll have over 600,000 seats on sale across our New Zealand regional network providing more opportunities for more Kiwis to fly more often for less. 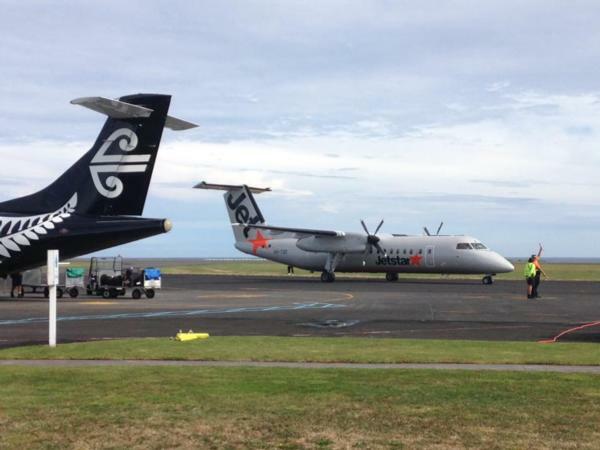 Mr Hall said the increased passenger numbers at Nelson and Hawke’s Bay airports were a great example of how Jetstar’s low fares stimulate markets. Mr Hall said Jetstar’s new regional network was helping to boost tourism in both Nelson and Napier. $2 million Jetstar regional lounge at the northern end of Auckland Airport’s domestic terminal. New Plymouth Airport has added a temporary Jetstar terminal building to support the launch of the new services and Palmerston North Airport has also made changes to accommodate increased traffic." The inaugural Nelson-Wellington service will depart at 10.05am, arriving in Wellington at 10.40am. Return services are offered three times a day on the Nelson-Wellington route.